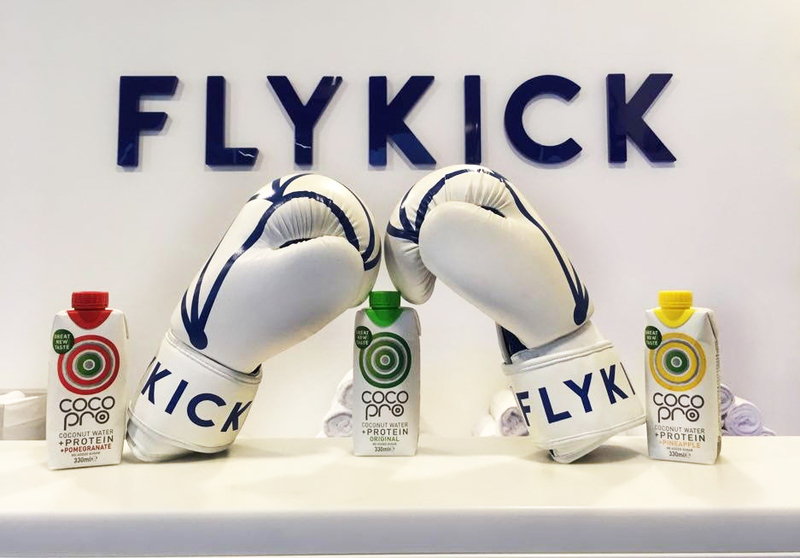 Box + Flow with Flykick and Coco Pro! Picture your perfect Saturday. If it involves fitness, friends, food and fashion then listen up – this one’s for you. On Saturday 6 th October, we will be teaming up with our friends at Coco Pro to bring you a Saturday that you won’t want to miss. The day will kick off with a signature Flykick class where you’ll be put through your paces with high-intensity bodyweight training, mobility work and kickboxing-inspired bag rounds. Expect to work up a sweat and challenge yourself both mentally and physically. Flykick regulars – you know how it goes. First-timers – get ready to sweat. You will then move into studio two where Coco Pro ambassador and primal movement specialist Rachel Thompson will take you through an Animal Flow class designed to help you recover, stretch out and work more on mobility. This effective flow will be just what the doctor ordered following your intense Flykick class. Finally, finish off the fit day out with free smoothies and snacks, as well as an exclusive discount on Lorna Jane activewear. After what you’ll have just achieved, you’ll deserve to treat yourself! So round up the troops – whatever the skill and fitness level – and join us for Box + Flow on Saturday 6th October, 12-4pm.